There are not many worse shocks than being soaked with icy cold water when you step into your shower first thing in the morning. Instead of getting your day off to a good start, you are suddenly faced with finding a plumber for repair or replacement of your malfunctioning hot water heater. That is the perfect time to call Cape Shore Plumbing, Lee and Collier County’s hot water heater experts. The highly trained, friendly and knowledgeable plumbing technicians at Cape Shore Plumbing always strive to provide you with superior customer service, excellent workmanship, and an unequaled level of dedication every time they visit your home or business for repair or replacement of your hot water heater, hot water heater piping, or any other other plumbing need. We promise to provide professional, courteous service and quality workmanship for every customer we serve. Our licensed plumbers are experts on all local codes and the plumbing needs in SWFL. You can rely on us to repair your hot water heater or install a new Rheem hot water heater or other hot water heater brand. 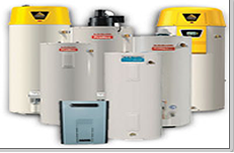 When you call with a hot water heater problem , we respond rapidly so that your hot water is promptly restored. Our team of plumbers is trained in the latest techniques and advancements and use the highest quality Rheem hot water heaters.. We promise to treat you and your home with respect and courtesy. Our plumbers wear shoe covers, put down drop cloths, deliver the highest quality experience and thoroughly clean up the work area. We guarantee our services to make sure you are completely satisfied. 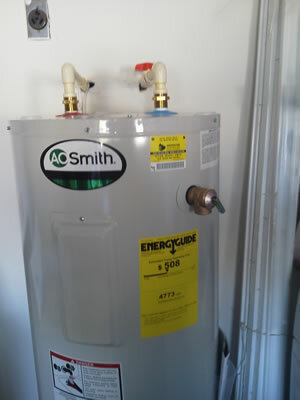 When your home has a hot water emergency, or you need to upgrade to a larger or more efficient hot water heater, call Cape Shore Plumbing rapid response team at (239) 677-9544. Our trucks are equipped with emergency parts, and a wide range of specialized equipment for all your residential or commercial plumbing needs. Cape Shore Plumbing will keep your hot water flowing!